CWCW: You're going to be Gobsmacked! In May of 2017, Out on a Limb Dance Company did what it does best and brought an evening of unexpected art to Waco. The event, called Stimuli, married music with contemporary dance – a tough art form to find inside city limits. Guests enjoyed a three-course meal catered by Milo Biscuit Co. and wine pairings from David Mayfield. Organizers and sponsors weren’t sure what to expect, as it was the first event of its kind in recent Waco history. Out on a Limb Dance Company Presents “Gobsmacked: An Evening of Dance and Music with Food and Wine” April 6 from 5-8p.m. at the Waco Civic Theater. This year, the dance company is back with what they hope will be an even better production: Gobsmacked. This month on Conversations with Creative Waco, we chat with Out on a Limb founder and artistic director Brooke Schlecte, along with Gobsmacked music director Chris Sies. The two have worked for a year with a team of dancers, musicians and other creatives to craft a contemporary dance performance choreographed to original musical compositions by Sies and his music team. Unlike Stimuli, which featured a series of short dances over the course of three hours, Gobsmacked will consist of one continuous piece in the three hour timeframe. The show’s narrative was influenced by the Enneagram, a personality test that includes nine archetypes, and will explore themes of self-discovery and vulnerability. Perhaps one of the most interesting aspects of the evening is the team’s creative approach to food. Rather than serving three distinct dishes in a dinner-table setting, chefs from 14 local restaurants will serve bite-sized portions of dinner and dessert dishes before the show and during intermission. This allows artistry to take place not only on the stage, but in the creation of the decadent foods. The menu will include a cash bar and fare from The Backyard, Baked Bliss, Barnett’s Public House, Churros’ Time, The Grape Wine & Bistro, Helberg Handcrafted Barbeque, Heritage Creamery, Lula Jane’s, Milo All Day, Nightlight Donuts, Ridgewood Country Club, Sironia, Slow Rise Slice House, and Stone Hearth Indian Cafe. Gobsmacked is scheduled for April 6 from 5-8 p.m. at the Waco Civic Theatre. Tickets are available for $40 at outonalimbdance.com. Get your creative career going in three easy (yes, easy) steps this spring. The Work of Artists is the creative professional development opportunity you didn’t know you were missing. This six-part series provides strategy and tools for conquering the business side of being an artist, and can be attended in whole or part depending on experience and professional needs. The Work of Artists is taught by Luann Jennings, a creative who has started several arts businesses herself and studied arts business, entrepreneurship, policy, and education at New York University’s School of Professional Studies, Columbia University, National Arts Strategies, and Lincoln Center Institute. Visit the Eventbrite page for registration and pricing. Classes run April 1 - May 13. We often hear people describing how the arts bring joy, beauty, quality of life, economic flourishing, make us happier, and make our environment more appealing. This is true and important, and we are daily inspired by these celebratory qualities at Creative Waco. There is another “superpower” that the arts have, which is harder to define, but perhaps even more vital. It might seem like a strange discussion topic for the holiday season, but at a time of the year when we celebrate light in the darkness and redemption for a broken world, perhaps it is a good conversation to have. The creative arts – music, dance, theatre, film, literature, visual art – give us language of hope in the hardest of situations. Uncoupled from the clumsiness of political posturing or the inadequacies of rational argument, the arts breathe defiant creation in the face of destruction, order against chaos, and light in the darkness. We discover it across the arc of human history: In exquisite art buried to honor the deceased; in heartrending music composed and sung in Nazi concentration camps; or in vivid cathedral windows crafted from bombed shards of stained glass. In December’s “Conversations With Creative Waco” on KWBU, I had a chance to talk to two of my “local heroes” who embody this reality through their work. Carlos Colón is Assistant Director of Chapel at Baylor University. He is a musician, composer, liturgist, and cultural promoter. He was born in El Salvador, and at the age of 14, was forced to flee his home. He took refuge in Guatemala City before coming to the USA in 1986 to study music. he holds a B.M. from Belmont University and a M.M. from Baylor University. Colón’s international heritage, personal experience of civil war, and Christian faith infuse his music, which evokes themes of justice, peace, beauty, human connection, and time. In October 2018, his newest composition, “Te Deum Latinoamericano” was presented as part of the celebrations for the canonization of slain Archbishop Oscar Romero at the main Cathedrals and cities of El Salvador, to more than 75,000 attendees. Dr. Lori Baker is Associate Professor of Anthropology and Vice Provost of Strategic Initiatives, Collaboration and Leadership Development at Baylor University. She holds a Ph.D. from the University of Tennessee, Knoxville in anthropology and specializes in the molecular and forensic analysis of skeletal remains. She is founding executive director of Reuniting Families, a program that aids in the recovery, identification and repatriation of undocumented immigrants who perish during migration into the United States. Her work gives Lori a powerful but difficult platform as a spokesperson representing painful truths to governments and advisory bodies across the World. A Couple of Years ago, Lori and Carlos collaborated with film-maker Pilar Timpane to create a film about Lori’s work “Lamento con Alas” (“Lament with Wings”). Carlos composed a hauntingly beautiful score which infuses what might otherwise be a bleak story with a dimension of hope. As they discuss this collaboration, I am struck by the capacity of the interwoven techniques of storytelling (cinematography and music) to de-politicize what is often a hot-button issue and instead, present a story of painful but shared courage, humanity, and light in the darkness. We wish you and those you love a New Year full of light, hope, and creativity. There’s a popular saying among the theater community that there are no small parts. For many decades, the Waco Civic Theatre has worked diligently to ensure everyone in the community has a part to play, whether it’s acting on stage or helping behind the scenes. The non-profit is dedicated to bringing quality live theater while providing a creative outlet to the community. On this week’s Conversations with Creative Waco, the Waco Civic Theatre’s executive director Eric Shephard talks about the exciting upcoming season, and how the support of those willing will be crucial. So tune in today at 11:30 a.m. and 8 p.m. on 103.3 KWBU fm to find out how you can get involved! Keep reading to learn what’s in store for the WCT’s new season and how you can get your tickets. “The Wizard of Oz” July 19 – 29. The classic tale is making its way to the stage and you could be a part of it! Join Dorothy, Toto and WCT as they venture into the land of Oz this summer. But I think we all can agree there’s no place like Waco. “Newsies”–Sept. 7 – 17. Extra! Extra! Read all about it! The newsies will be taking over and they don’t mess around. Join them in taking a stand against the money-hungry publishers of New York! “Once”– Nov. 9 – 18. From a beautiful relationship comes beautiful music. Don’t miss WCT’s take on this musical drama that’s sure to melt any music-lover’s heart. “Steel Magnolias”–Jan. 25 – Feb. 3. WCT is taking us down south to join the feisty ladies of Louisiana. It’s sure to be a night filled with love, loss and a whole lot of laughs. “Shakespeare in Love”– March 22 – 31. You don’t have to love Shakespeare to enjoy “Shakespeare in Love.” Adapted by Lee Hall from the 1998 film, the story follows a young Shakespeare and how he came to find his muse. Tickets and additional information about auditions and how to get involved can be found at the Waco Civic Theatre’s website. 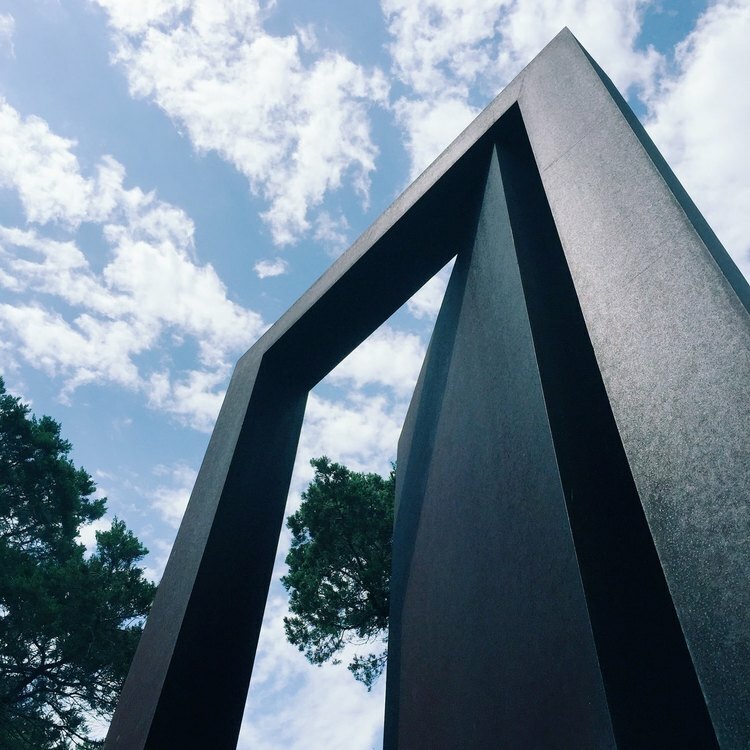 If you've been part of the Waco community long enough, it's likely you've heard of the Art Center of Waco. 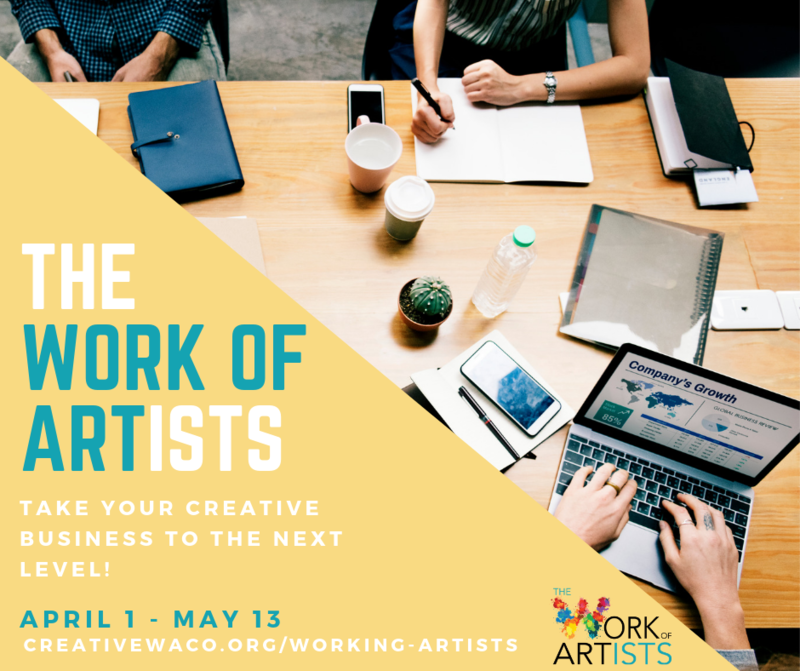 If you're lucky, you've even had the chance to experience some of the creative programming they faithfully bring to the Waco community. The Art Center is a nonprofit arts organization with a long history of challenging barriers to arts programming for all areas of our city. 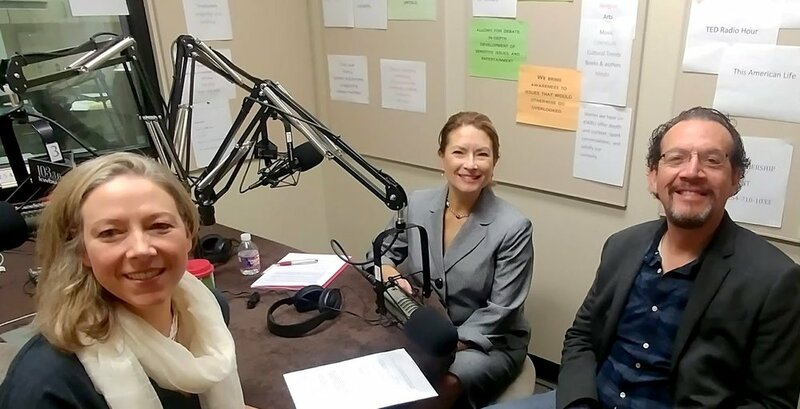 Meg Gilbert, Art Center director, talks about both the labor and joy of bringing art to the community on Conversations with Creative Waco, today at 11:30 a.m and 8 p.m. on 103.3 KWBU fm. Read on to find out a bit more about the Art Center and how they are proudly championing the arts in our community. Traveling Art Expedition. One of the newest programs to come out of the Art Center, Art Expedition is a fantastic program that brings a mobile art gallery to area schools. A trailer truck has been filled with pieces created by local arts educators, and outfitted with lighting and fixtures that mimic a gallery. The experience shows students that a career in the arts is possible while giving them a taste of what a gallery experience is like. Rotating exhibitions featuring local and regional artists. Sadly, there aren't any exhibitions currently on display because the Art Center vacated their building on MCC's campus due to safety concerns this past fall. However, they are currently officing out of Cultivate 7TWELVE (712 Austin Ave.) and may have exhibitions in this space and others in the future. Keep up with them to get updates on their building search and any pop-up exhibitions in the future. Art classes for adults. From weaving to ceramics, the Art Center has a history of offering a wide variety of creative courses for adults. Although course offerings change throughout the year, there is almost always something new to try. Classes, schedules, and registration info are listed on their website. Art classes for children. Because much of the Art Center's programming focuses on children, it only makes sense that they offer creative classes for kids year-round. At Art Lab, students are invited to learn about the history and processes of creating art before trying their hand at creativity. These affordable courses ($12/90-minute class) can be viewed in detail on their website. Community engagement through volunteering. The center is always open to allowing community members serve in creative facets. From art education to community events, volunteers are able to support the organization's mission using their own creative strengths. Check out their volunteer page to get connected! One of the best things about Waco's cultural sector is the variety of talent and art forms that can be found in our city! Last year was the first time a city-wide film festival took place, and it quickly proved to be an important event for the artistic life of Waco. Deep in the Heart Film Festival is back for its second year, and there's even more in store this time around. Snag your tickets for the event, scheduled for March 22-25 at the Waco Hippodrome and other locations in Waco. Tune in to Conversations with Creative Waco, as we sit down with Louis Hunter, co-founder of DHFF, and talk about all the new things festival-goers can expect this year. Listen today at 11:30 a.m. and 8 p.m. on 103.3 KWBU fm. In the meantime, check out 5 reasons to get excited about Deep in the Heart Film Festival. There's something for everyone. There's family-friendly films, horror movies, comedies, documentaries... if you love movies, you'll find something to love at the festival. Check out the list of official selections on the DHFF website. You can't see these movies anywhere else. They're not common Hollywood films bankrolled by studios. These films are personal stories and passion projects. For them to make it on the festival circuit, they have to be audience-friendly, so they're high-quality pieces curated specifically for the Waco crowd. There are opportunities to learn about the craft. Discover the cutting edge of Virtual Reality filmmaking, and find out what it takes to make a feature film. The festival will feature a number of interactive and educational components for those who want to take their film festival experience a step further, making it perfect for professionals, students, and curious movie-goers. You can meet the filmmakers. Last year, filmmakers came to Waco from Hollywood, across the US, and even Paris. Austin, Dallas, and, of course, local moviemakers were present, as well. 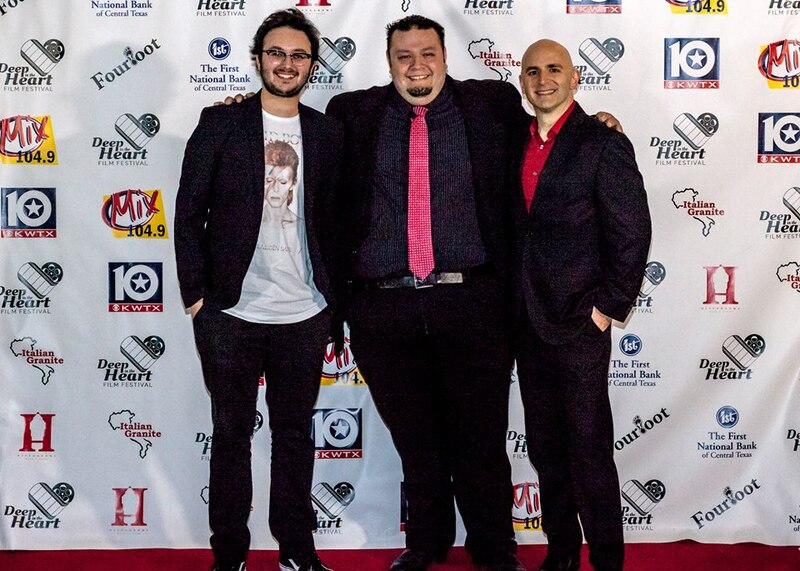 Deep in the Heart Film Festival is the only place in Waco to meet these actors, writers and directors and talk with them about their films. It's all about community. We all love movies. We all go to movies. This is a great way to enjoy good movies and dip your toe in the Waco art community. Not only to meet filmmakers, but to meet new friends as well! Special thanks to Louis Hunter for his contributions to this blog post.